Prism 7.0a – Scientific graphing and nonlinear curve regression tool. 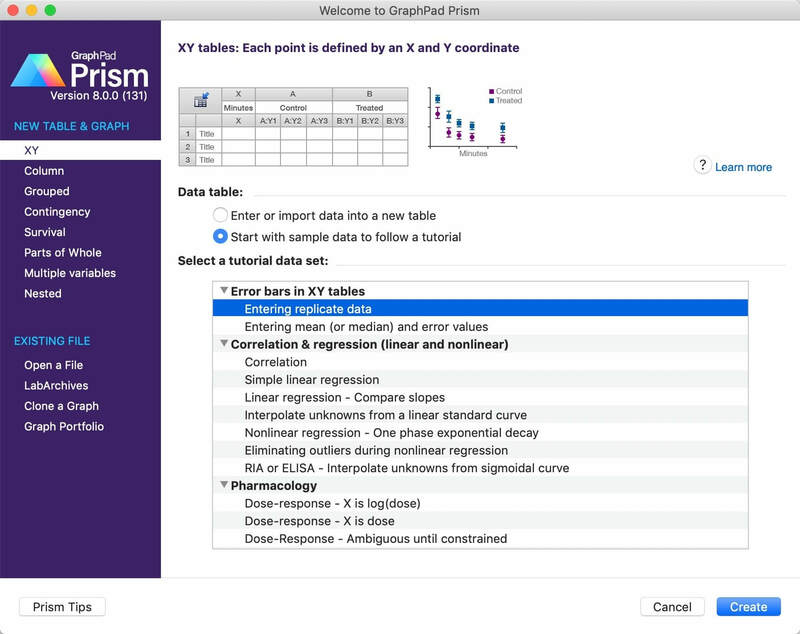 GraphPad Prism, available for both Windows and Mac computers, combines scientific graphing, comprehensive curve fitting (nonlinear regression), understandable statistics, and data organization. Version 7.0a: Prism 7 lets you do more kinds of statistical analyses, make more kinds of graphs, and organize your data with more flexibility. But Prism is still Prism! You can switch to Prism 7 with almost no learning curve, and can use the trial license of Prism 7 without removing earlier versions. Next story TripMode 1.0.6 – Stop updates and other background processes from consuming data. Previous story SoundMate 3.1.0 – SoundCloud desktop client. QuizMaker Pro 2018.2.0 – Create custom classroom quizzes. Prism 2.71 – Convert video files into the formats you need. SkyORB 4.2.9 – 3D planetarium featuring star-gazing and epheremis.